Knee arthroscopy or keyhole surgery is a procedure used by orthopedic specialists to diagnose and treat injuries to the joint. The procedure allows an experienced surgeon to address knee problems such as misaligned patella or torn meniscus. It involves making small incisions that allow for various instruments to enter the joint, identify the issue, and treat it without being too invasive. The problem of knee pain is often a complex issue involving different structures in the joint. Other parts of the pelvis and lower extremities may be involved as well. Knee pain can be debilitating, and loss of function could lead to mobility issues and loss of independence in doing daily activities. Doctors usually handle a patient’s complaint of pain in the knee, which may be due to an acute injury or chronic condition, using conservative management. They only recommend surgery when it is the best option available, and when less invasive options have been exhausted. Accurate diagnosis is critical to effective treatment, and arthroscopic surgery of the knee in a Provo clinic may be helpful in pinpointing the source or cause of knee pain. Some of the potential causes may include torn meniscus or cruciate ligaments, a poorly aligned patella, a torn cartilage that impedes on other knee structures, swollen knew joint lining, a cyst, or knee joint fracture. Once the doctor makes a specific diagnosis, he or she may correct the problem immediately or recommend other management options. 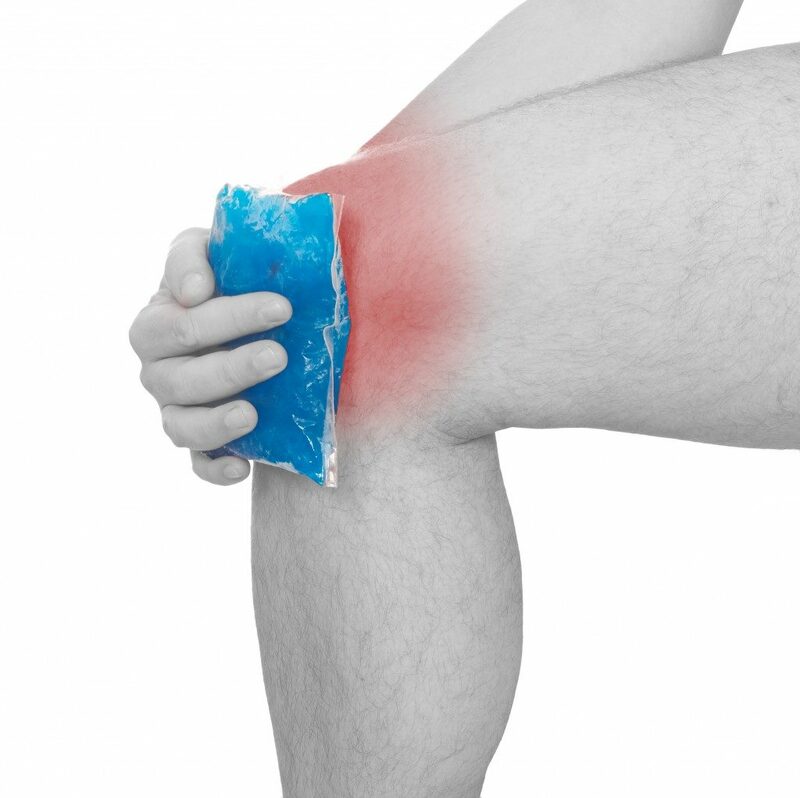 Most people can go back to work on the same day with an ice pack on the knee. That is usually sufficient to deal with the residual pain. But others may not be so lucky, particularly if they suffer from other comorbidities, they would likely spend a couple of days dealing with post-procedure swelling and pain. After a few days, a follow-up appointment would inform you and your doctor if everything is fine with the knee. However, you must take full responsibility for your recovery and embark on an exercise regimen recommended by an orthopedic physical therapist. 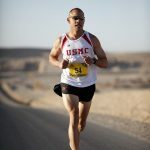 While recovery is essentially quick, full knee function is possible only if you cooperate with the rehabilitation team. Restoring the range of motion and strength of the knee should be your priority after arthroscopy. So, when do you need keyhole surgery? 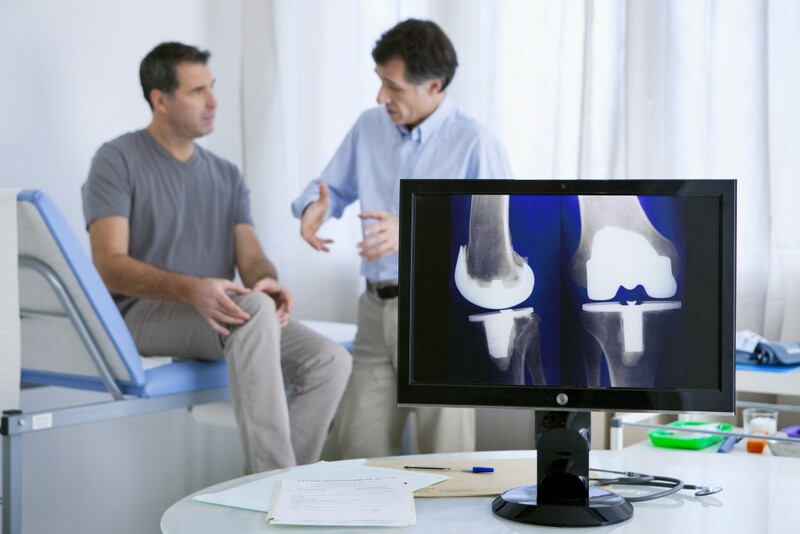 If you’ve sustained knee injury at work or playing sports such as football, basketball, hockey, tennis, and volleyball, you would like to be referred to an orthopedic specialist. Arthroscopy is a procedure that can help the specialist diagnose the problem causing the symptoms, and it can also be used to repair damaged tissues inside the knee. Taking care of our oral health is very important. That includes being aware of the condition of your teeth. Extraction of wisdom teeth is one of the things that people neglect and are terrified of. But no need to worry, there is a reputable dentist in Murray who can take care of your problem with wisdom teeth. Wisdom teeth would typically appear between the ages of 17 and 25. It is best removed early, to prevent developing problems. This saves the patient from more complicated and painful surgery. Dentists also encourage patients to have their wisdom teeth extracted while they are young because the surgery will be easier and the recovery is faster. This is because the roots of the wisdom teeth have not developed fully yet and the bones are less dense compared with older people. You may have an idea that you have impacted wisdom teeth just by counting all your teeth. A person normally has a total of 32 teeth up and down, that should have fully erupted by their teen years. Some of the signs and symptoms that your wisdom teeth are coming out include mild jaw pain and pressure, swollen, tender and irritated gums, and mild discomfort when chewing. Wisdom teeth that have fully are erupted are easier to extract. It is removed in a way another regular tooth is removed. On the other hand, impacted teeth, or teeth that are situated underneath the gums and embedded in your jawbone, require a more complicated extraction. It would also depend on the alignment and position of the teeth. 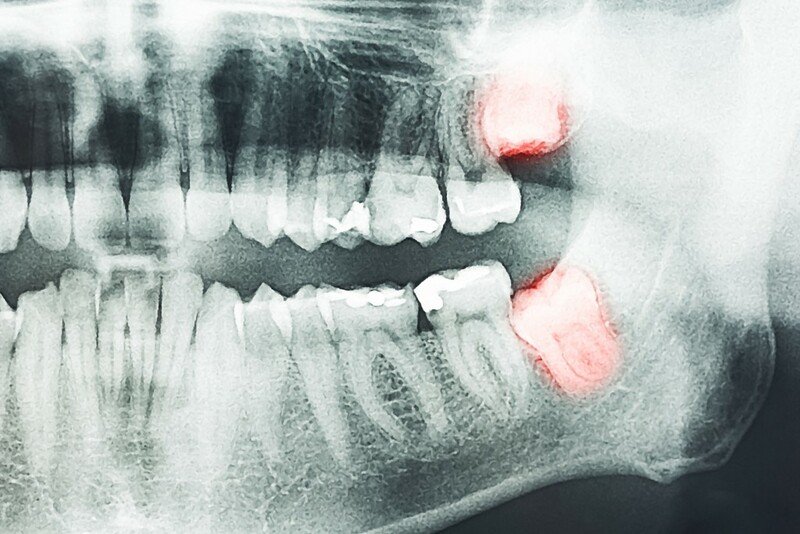 To know the position of your impacted wisdom teeth, your dentist will ask you to have a panoramic x-ray. A dentist basically does an incision on the gums, and would sometimes need to drill the tooth to small pieces, especially if the tooth is positioned horizontally, and then sutures the gums after. After the surgery, expect some bleeding within 24 hours. Your dentist may prescribe you with blood thinner medications to help control the bleeding. Your dentist will also ask you to go on a soft diet. This would be helpful to ease the discomfort of having to chew your food and also to avoid food particles from going to the affected area, or from your sutures getting removed. You will also be advised to avoid using straws, rinsing and spitting frequently, and smoking as doing these might cause a dry socket to develop. You will also notice your face swelling on the part where your tooth was extracted. To help lessen the swelling, you can place an ice pack on the swollen area. This also helps in easing the pain. Of course, the dentist would also prescribe you with painkillers and antibiotics. The thought of having a wisdom tooth extraction could be mortifying, especially after hearing horror stories about other people’s experiences and the pain of going through the whole procedure. 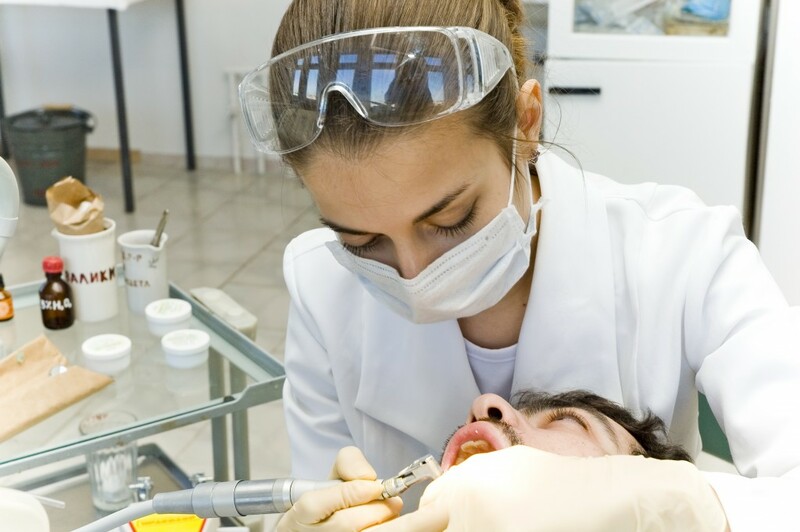 But having a reputable and reliable dentist who could help you with your problem is going to be much easier. After all, everyone wants a healthy mouth with teeth that are in good condition. The severity of pain is subjective. Even the slightest amount of pain will, however, affect your enjoyment of life and activities of daily living to an extent. Most people will reach for pain-relieving medications when they experience any amount of pain. Over 70 million Americans battle with chronic and severe pain and these pain relief medications they rely on have been proven to cause various issues in these people. Infertility, weakened immune systems, depression, drug dependence, gastrointestinal bleeding, liver toxicity, and hormonal imbalances are some of these issues. A chiropractor in SLC will employ different side effect-free pain management techniques for various types and level of pain. Though most people only associate chiropractic care with musculoskeletal pain, it will suffice for virtually all kinds of pain. The following are some of the techniques used for pain management in chiropractic medicine. Spinal manipulations and those involving the extremities are the most common treatment modalities in chiropractic care. Though primarily designed for the realignment of bones, these manipulations will promote the body’s self-healing ability. They do this by combating the free radicals associated with inflammation and pain and improving the repair of your DNA on a cellular level. 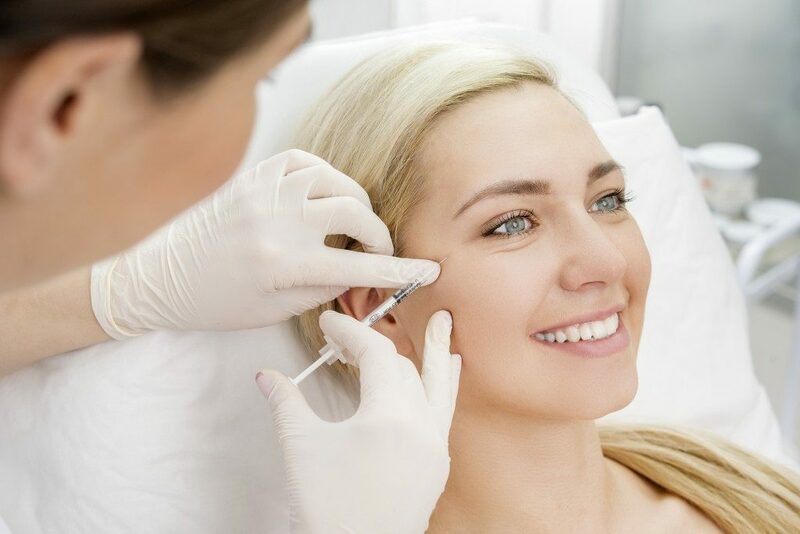 These will also alleviate pain in about three months after the start of your treatments. The manipulations help in pain reduction in those suffering from shoulder, back and neck pain, arthritis, fibromyalgia, headaches, and carpal tunnel syndrome. Transcutaneous electric nerve stimulation (TENS) uses a small, portable, battery-powered unit for the delivery of muscle stimulation, which can control pain. There are various levels of electrical currents used for pain control. TENS is generally used for patients who experience acute bouts of severe pain. As such, it might not benefit you much if you suffer from chronic pain. These are used in chiropractic care to avert the formation of scar tissue in an injured area. Other than this, therapeutic exercises will stretch specific muscles and strengthen them thus supporting your body and addressing your pain. 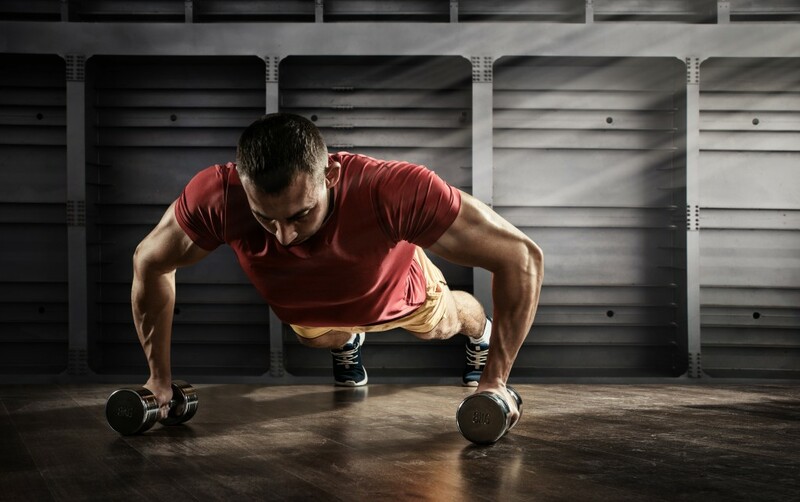 The intensity of exercises your body can safely accommodate differs based on your muscle’s conditions. It is hence advisable to only stick to a chiropractor’s recommended exercise routine. The foods you consume and your lifestyle choices have a significant impact on your body’s response to various stimuli. Poor nutrition has for instance been linked to excessive weight gain which might strain your body and lead to pain in multiple joints. A chiropractor might recommend dietary supplements, a decreased consumption of refined carbohydrates and an increased intake of anti-inflammatory foods. These steps will aid in the reduction and eventual stop of chronic pain. Reduction of excessive alcohol intake, cessation of smoking and improvement of your posture will also promote a pain-free lifestyle. There are numerous methods used to manage pain without using pain medication. If you are already on pain medication, a chiropractor will adjust your dosages of the drug slowly rather than stop it at once when you begin any of the above pain management therapies. This tapering down of your dosage will prevent the unpleasant withdrawal symptoms associated with most pain-relieving drugs. It’s incredibly difficult and distracting to have scars that can even impede your daily activities. These scars are signs of having gone through some wound or procedure. But not all scars heal beautifully. Some scars have bumps or excesses that make them so hard to clean or maintain. It’s not always vanity to worry about these scars. Sometimes, you really need to take a look at your scars, especially if they’re covering a larger area of your skin. There are also dangers to seeing irregularities in your scars, and they deserve some attention. There are ways you can manage your scars so that they won’t take over your body parts needlessly. Visit your reliable dermatologist for your acne scar treatment in Utah. If you are worried about scars that swell within the first 24 to 48 hours of scarring, silicone gel can still do its magic. But it’s not going to work anymore by day 3. Just put in silicone gel for scars in the affected area and then wrap it for a day or two. Note that this is just a frontline fix and will not permanently have any impact on how the scars look like in the long term. These are a bit more expensive, but dermatologists use these for larger scars that are left to fend for themselves for months or days on end. Steroid injections can be done weekly or twice a month for larger cases, and you usually pay on a per-injection basis. The dosage of steroid injections also depends on how your body reacts to them. More receptive bodies see faster results with fewer shots. Vaseline or cocoa butter helps give regular scars a more normal-looking appearance. It helps match the color of your natural skin or make the scars stand out less, especially in prominent areas like your face or arms. This over-the-counter solution can work only for regular scars. Keloids are an entirely different issue. Scratching keloid scars can make things worse. It stimulates the growth of the scars, and they can sadly take a life of their own. Tread carefully with keloids and get the expert advice of a dermatologist to check how many steroid shots are needed. An old wives’ tale is apple cider vinegar on cotton, but there are no therapeutic claims for this. Ultimately, surgery can help scrape off unsightly scars and turn them into a more manageable size. Scar revision also occurs when you have post-surgical scars that have become impossible to manage the normal way. Revising a scar includes making it smaller and then having follow-up steroidal injections on it to stop it from growing again. 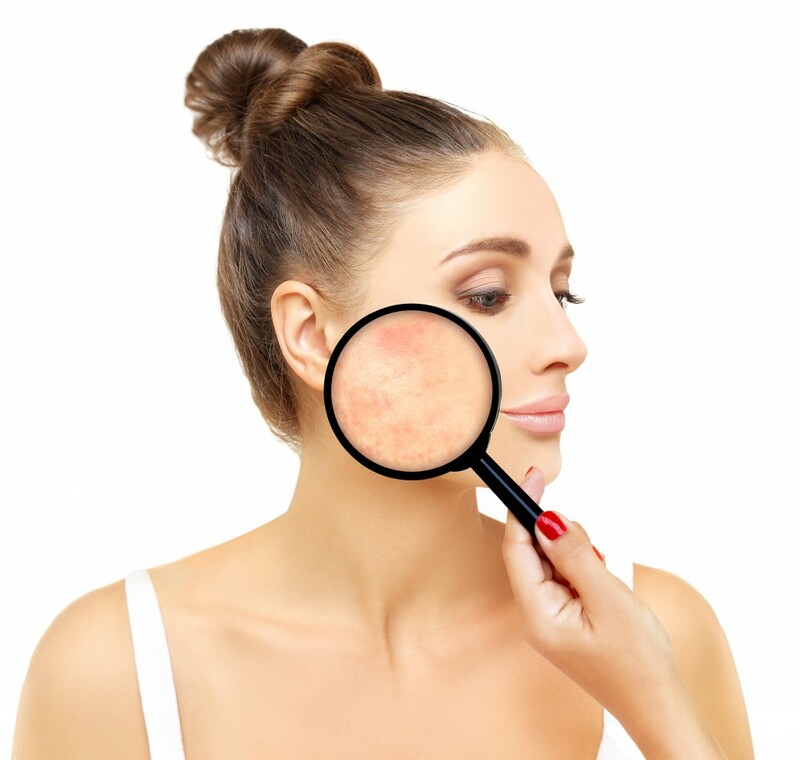 Make sure that you visit a dermatologist if you see irregular symptoms such as scar-like tissue spreading over the skin, membranes or vessels forming from inside the mass of the scar tissue, or discoloration. It is better to visit your dermatologist early so that having scars won’t prevent you from doing your daily activities efficiently. People work out for a variety of reasons. Many want to stay healthy. Some want to make themselves flexible and agile. Others use workouts as preparation for a competition. There are also some people who want to bulk up. They want to have a much more muscular body. This is a goal you may want to have, especially if you are also planning to get stronger and correct your posture. However, many people have been doing this wrong. It takes time and effort to bulk up. And while you are in the process, you may get frustrated. What you should do is give yourself some time. Be patient and stay focused on your goals. There are actually some ways you can bulk up without having to resort to complicated methods and even restart your entire routine. Below are some of the pointers you might want to keep in mind if you want to have a lean, muscular body. If you want to bulk up much more easily, you should have a higher calorie intake. That means you will need to eat more carbs. But be cautious with it. You can eat carbs, but regulate it with discipline and some workout. To improve muscle mass, you will need to consume more protein. This particular nutrient can be sourced from a lot of foodstuff. You have your meats such as chicken and fish, cheeses and some vegetables. Legumes such as peanuts can also help. If you want to quicken the process, you may consume whey supreme protein. 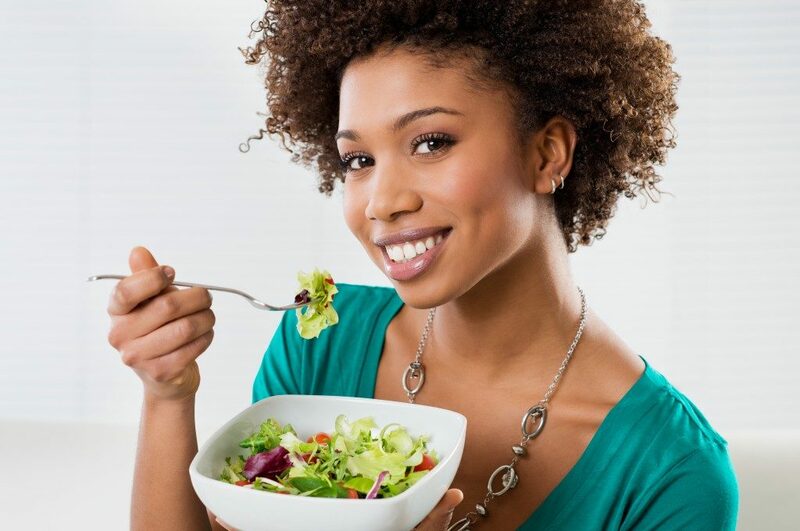 When you are focusing on diet, you must reduce your consumption or even get rid of processed food. 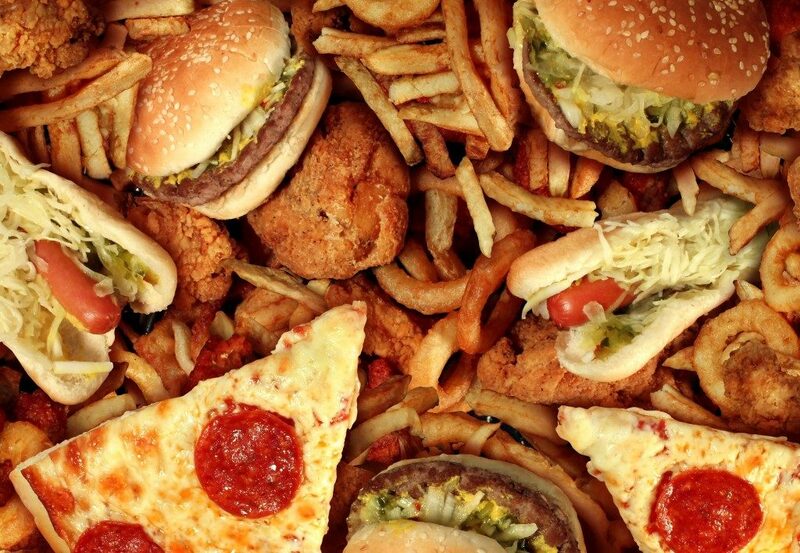 Fast food dishes and canned goods count as processed food, so you should be careful when it comes to this. This is because processed food often contains preservatives and additives that might intervene with your diet. So the next time you crave a hamburger, consider making your own—this time, use organic meat and bread. One of the best ways to bulk up and have abs is by lifting. 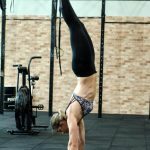 Lifting tones your upper body in a way that other exercises and workouts cannot do. But control your urge to do lifting every day; do not be too excited about it. You may try other workouts that will also tone the other parts of your body. To get the best workout plan, it is wise that you seek advice from your personal trainer. Do not forget your heart. You need to be healthy, so you should include cardio exercises in your plan. Running and jogging can also help tone your legs, also bulking them up so that your body parts will be evenly toned and proportional to each other. These are only some of the things you should keep in mind if you want to improve your body and bulk up. Always seek the advice of reliable physical trainers and dieticians to make sure you are on the right track. Most people would pay little attention to spots on teeth. Although brown spots get some people to seek a cosmetic dentist’s intervention, very few think that white spots on teeth are a cause of alarm. Teeth should, after all, be white, and the spots are mostly invisible, so they cause little cosmetic concern. However, white dental spots are not normal, and they point to deep-seated dental problems that should be treated. In this option, the dentist will remove a small enamel layer from your teeth’s top surface. The dentist will reduce the visibility of the spots on your teeth. In most cases, enamel microabrasion will be followed by professional whitening. This is meant to make your teeth have a uniform color. Microabrasion is unfortunately rough and might damage the protection of your teeth’s inner components, so it is not routinely used. These work through the infiltration of the dental pores of the affected tooth. A special gel is first applied on the white spot, which opens up the pores. This promotes a deep permeation of the resin used for the treatment of white spots. After the application of the resin, it is cured using light. Other than getting rid of the white spots, the resin will also block the infiltration of acids and preserve your tooth’s inner layers from further decay. The whole process of using resin infiltration systems requires no anesthesia or drills and takes about fifteen minutes. This process fills the microscopic holes in your teeth which contribute to the chalky-white appearance of teeth with white spots. Topical remineralization therapy is used to manage white spots that are caused by fluoride deficiency. It has mostly replaced the use of systemic fluoride treatments of white spots. Systemic fluoride treatments ultimately lead to brown spots on teeth since they do not address the microscopic holes in them. The holes only get bigger. These include composite resins, veneers, and crowns that are used to cover the white spots and improve the appearance of your teeth. Composite resins are used if your white spots are linked to enamel hypoplasia since they fill in the cavities and strengthen the teeth. Dental veneers and crowns are generally used for teeth with other issues such as cracks. White spots are generally preventable with optimal dental hygiene. In children, you should ensure that they use only the right toothpaste quantity for their teeth. They should spit it out rather than swallow it. There are times when a pediatrician might recommend fluoride supplementation for children between six months and sixteen years. This is generally if they live in areas that do not have fluoridated water. If this is the case for your child, stick to the doctor’s recommended dosage of the supplements. Although exposure to sunlight can help produce vitamin D, too much heat can damage your skin and cause skin cancer. To protect yourself, wear sunglasses when going out. Apply sunscreen with SPF 30 fifteen minutes before engaging in outdoor activities such as swimming, hiking, and playing outdoor sports. The Skin Cancer Foundation recommends sunscreen with high UVA/UVB protection. Moisturizers and other cosmetics may contain harsh chemicals. When your skin absorbs these toxic chemicals, your skin can have acne. You may also experience redness or inflammation. These skin reactions are frustrating and devastating at times. To avoid these situations, make sure to read the label of skin products to find out if they are safe. Also, consider your skin type when purchasing cosmetics to avoid allergic reactions. Opt for natural skincare products for your skin’s protection. A well-hydrated body functions better than a dehydrated one. Drinking lots of water can help you concentrate. You have the energy to perform and accomplish your tasks. You feel and look good. Your skin is firm and glowing. On the other hand, a dehydrated body cannot focus, lacks zest, and becomes sluggish. The skin is dry, flaky, and saggy. If you want to have youthful skin, eight hours of sleep at night is important. This is the time of the day when your skin repairs and rejuvenates damaged cells. Make sure to have quality sleep at night to stay young-looking. Eat fresh fruits and vegetables. They contain antioxidants to help fight free radicals that can damage your body cells. Blueberries, raspberries, spinach, dark chocolates, and nuts are types of food rich in antioxidants. They help prevent inflammation that can cause wrinkles. Furthermore, fatty acids in avocados, nuts, flax seeds, and olive oil can make your skin glow. Make sure to include them in your diet. To prevent wrinkles, avoid sugar because it disrupts your skin’s elasticity by damaging your collagen. Instead, eat food rich in vitamin C.
Daily skincare habits contribute much to your skin’s health. Make cleansing, toning, and moisturizing your morning and nighttime rituals. If you have acne, scarring, pigmentation or any skin problem, don’t hesitate to see a dermatologist. There are reputable clinics in Murray that you may visit for assistance. Jogging, brisk walking, and simple aerobics can make you sweat. As you sweat, you release toxins and improve your blood circulation. Food nutrients are better absorbed and delivered to the different parts of your body. As a consequence, your skin becomes firmer, clearer, and smoother. To have a youthful and glowing skin is something to be proud of. With a little patience and determination and by following the above-mentioned ways of taking care of your skin, yours will be everyone’s dream. 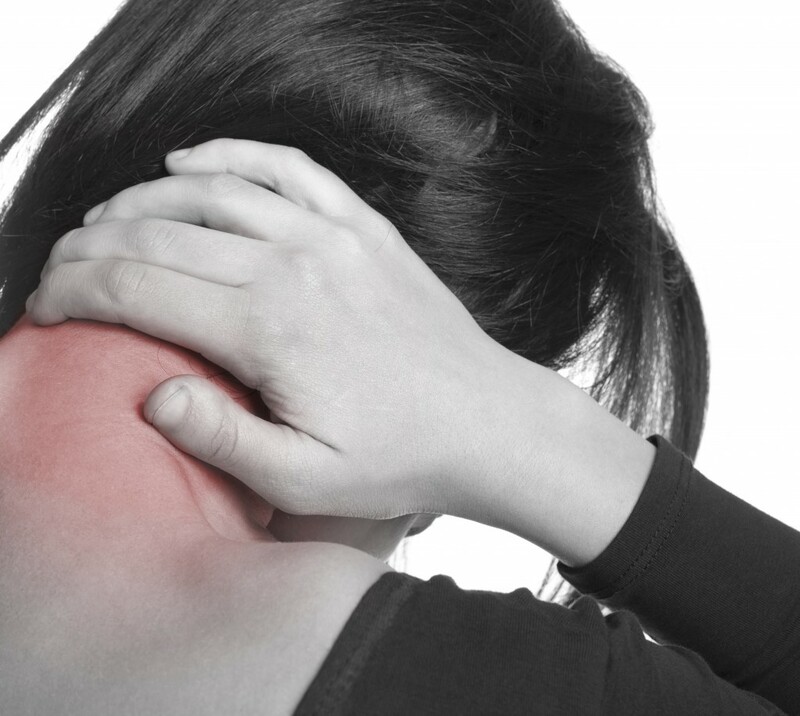 If you struggle with neck pain, you’re not alone. The catch is you may have different descriptions about it. If you ask other people to describe what exactly they’re feeling, you would most likely get varied explanations. But why is that? Head pain that’s related to neck pain typically manifests in the upper neck and back portion of the head, which is often caused by muscle spasm or tension. This pain is achy and dull instead of sharp and stabbing. Your neck might likewise feel tender and stiff. Sore or aching shoulder and neck muscles might occur as a response to prolonged or overexertion of emotional or physical stress. You might feel stiff and tender knots in your neck called trigger points. This is characterized as a potent and sudden tightening sensation of your neck muscles. You might feel significant knotting and tightness in your neck, and turning your head might be an impossible task. For instance, when waking up with an agonizing stiff and painful neck, that’s probably a spasm. 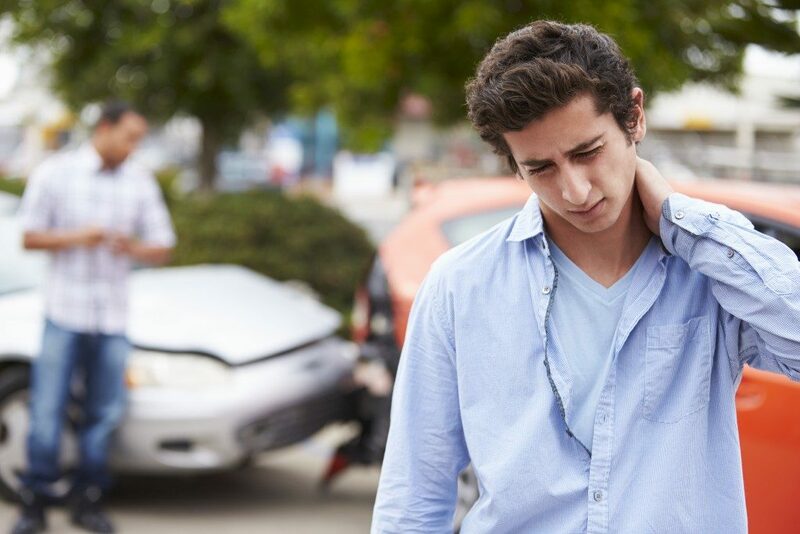 This kind of neck pain might be caused by injury to your neck muscles, but physical rehabilitation and pain facilities in Chandler, Arizona noted that it might likewise be caused by a nerve or spinal disc issue. A pinched or irritated spinal nerve could result in severe, fleeting, and sharp pain and might come with the pins and needles sensation. You might also feel pain radiating down to your arm and hand depending on the exact nerve affected. Often characterized by an aching, sharp, and deep pain in a part of the neck’s vertebrae — called facet joints — this pain usually gets worse when tilting your head and might go down into your upper back or shoulder. Feeling tenderness and pain in your cervical vertebrae requires immediate medical help and diagnosis as it might indicate a more serious underlying condition. This is pain that’s felt in only one part of your body and is usually caused by an issue in another body part. For instance, worsening neck pain might signal a problem with your heart. Fortunately, there are plenty of different treatments for easing and managing neck pain. Generally speaking, the first line of pain treatment is medications, but other common treatment includes ice and heat applications, stretching, massage therapy, chiropractic care, and neck strengthening exercises. Surgery might only be considered in the event that there’s a clear cause of the neck pain and that it will only go away with surgery. Individuals with chronic pain should likewise consider supplementary pain management therapy to help them manage their symptoms better and reduce its negative effects on your daily life. Talk to your doctor to find out the best treatment plan for you. How do braces work? This dental appliance can align and straighten teeth to improve your oral health. Though many people consider them a pain, braces offer a lifetime of benefits, including a boost in self-esteem and heart health. 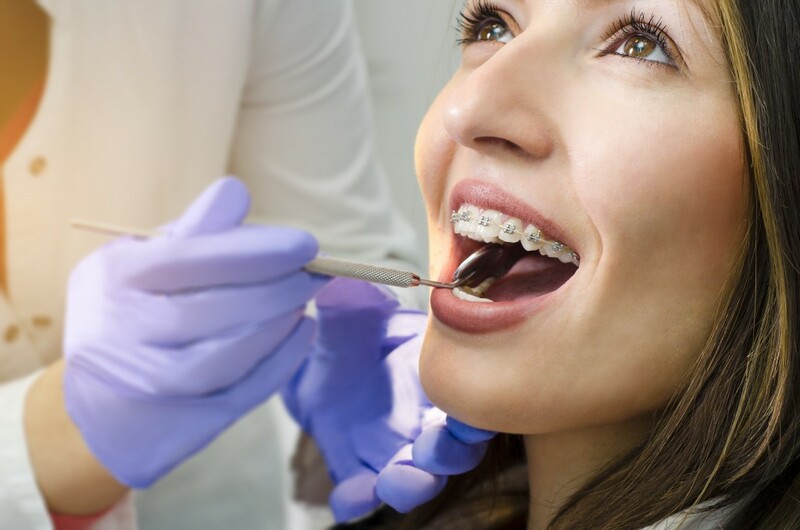 Wearing wires and brackets on your teeth for years, being wary of the food you eat, and regular visits to your Bakersfield, California dentist for your braces realignment are only some of the struggles. But when you look at the bigger picture, you realize that the pain of wearing them lessens gradually and becomes a part of your daily life. You realize later that braces help you improve your confidence, your oral health, and even how much nutrition you get from your diet. Many people often regard dental health as a sign of desirability and confidence. But if you have crooked teeth, an open smile could be something you would rather not do. Straightening your teeth gives you the confidence to smile and attract people, so braces and other dental appliances could help you change things to your favor. Dental appliances can improve your social, professional, and personal life, but they can also help you speak better because straight teeth can help you produce sounds clearly and properly. Once you realize that you have better teeth and oral health, you are apt to smile more and present a more confident persona. Straight and bright teeth can make a person look healthy, which is one of the factors that boost sexual attractiveness. Also, a bright smile makes anyone look friendly and inviting. Many studies show that an open-mouthed smile that shows teeth is a good indicator of success and happiness in life. No wonder most people prefer a person with an open smile! Though most people know that dental wires, brackets, and aligners can help reduce cavities and gum problems, they often do not realize how dental health also affects general health. Research over the years has shown that people with good dental health are less prone to heart disease and ailments. Since braces also help in aligning the jaw, it results in better sleeping and breathing patterns along with decreased jaw and shoulder pains. This also leads to better nutrition and digestion because it helps you chew your food efficiently. Braces could also improve your bite; an improved bite puts less pressure on your jaw. For a long time dental health was not seen as a significant prognosticator of general health; but thanks to current research and studies, we now understand how the state of our teeth affects our confidence and general health. If you plan to meet with your dentist, make sure to ask if braces or any dental appliance can improve your teeth’s appearance and oral health. The best way to achieve better overall health is to ensure that every aspect of your health is maintained. Giving more attention to your dental health will only improve your overall condition. Cough Treatments: What Are Your Different Options? Like the rest of the world, Singaporeans are susceptible to both acute and . 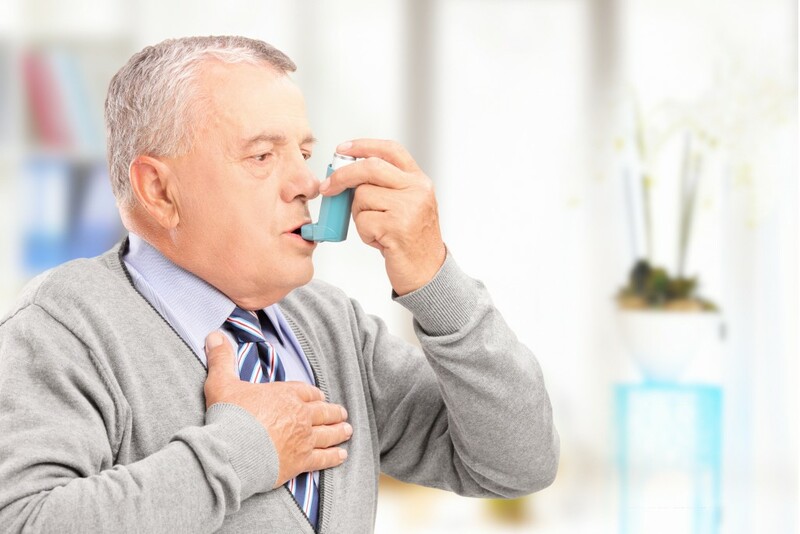 It has a high prevalence rate of chronic obstructive pulmonary disorder (COPD) at 3.5%. Although it has one of the best air quality standards in Asia, transboundary hazes can make breathing difficult from time to time. A cough often accompanies most respiratory tract infections. Contrary to what many people think, this process is the body’s natural response to getting rid of the extra mucus and other irritants. But it can also be annoying and sometimes debilitating. It may result in missed work and school days, as well as limited physical activity. Managing it is one of the effective ways to speed up recovery and improve the quality of life. The question is, what cough treatment do you need? Mucolytic – Mucolytic agents work by thinning the mucus that builds upon the airways and the lungs. This way, it’s easier for the body to expel it by coughing. The active ingredient can differ. Fluimucil 100, for example, contains N-acetylcysteine, which comes from L-cysteine, which is a type of amino acid. It is available over the counter while some take it as a supplement, especially if they have chronic bronchitis or COPD. Antitussive – An antitussive is a cough suppressant. It doesn’t eliminate the coughing but reduces the tendency to do it. It is best for people who have a dry cough. In other words, it doesn’t produce phlegm. It usually happens when the person also has the flu. 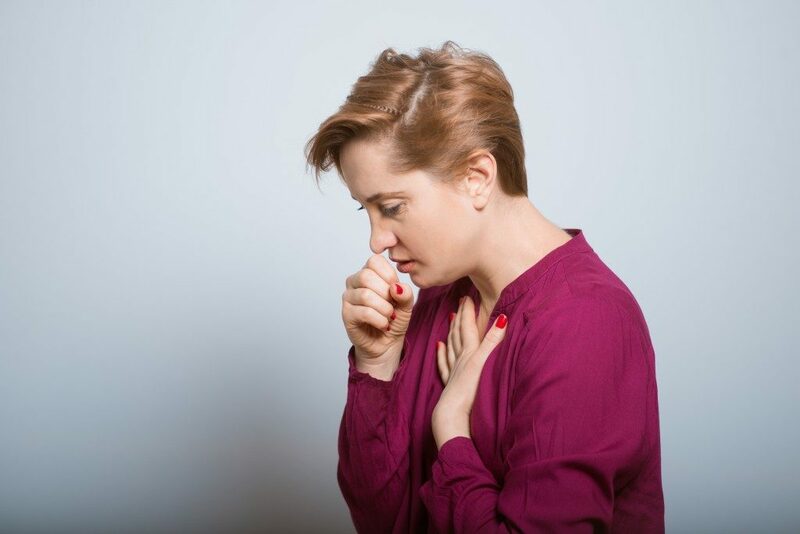 Expectorant – Expectorants work like mucolytic since they help soften the mucus, but they are slightly different because they compel you to cough more. This makes it a better option than antitussive when you have a chesty or a productive cough. Antihistamines – If the coughing is an allergic reaction or you have allergic rhinitis, you may need antihistamines. These medications don’t deal with the coughing alone. They also manage the other symptoms. These may include sneezing and watery eyes. Decongestants – Decongestants work with the common cold or a runny nose, but doctors may also recommend them along with the others. This is because post-nasal drip may increase the accumulation of mucus. Antibiotics – These are medications designed to stop a respiratory tract infection caused by bacteria. They don’t work with diseases due to viruses. To confirm, you may have to take a sputum culture or a blood test to determine the cause of your sickness. Unlike other cough medicines, antibiotics are available by prescription only. Their misuse may only increase the likelihood of resistance, which now kills an average of 33,000 people annually. You can buy many cough medications over the counter. It’s always best, though, to take these with your doctor’s approval and with precaution. Note, too, that coughing is often a symptom than a disease. You and your doctor still need to determine and treat the root cause. These medications, however, can help ensure you can return to your normal routine as soon as possible.